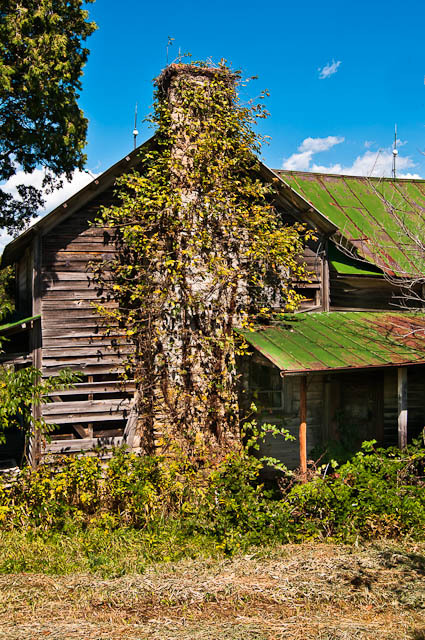 This is the deserted and clearly overgrown farmhouse I mentioned in my prior post…the one next to the barn which is apparently still being used for cattle. Note the lightning rods on the green metal roof. I sure would have liked to climb up and get me one as a souvenir. Nikon D300, processed in Lightroom v3.3.